It usually isn't time to spend on bookkeeping - which is why more and more businesses owners want to keep their costs down by outsourcing their books, leaving them more time to focus on marketing and development activities. Just imagine what activities you do that generate the most revenue? If the answer is "No", then take control with our bookkeeping service. Designed especially for small to medium where doing the accounts on a normal accounting package is not appropriate or cost effective. •	We use bookkeeping softwares which are easily available and designed according to your local environment. Whether you are setting up new business or already run an established business, Multi Care Business Solutions can offer you an affordable bookkeeping solution. We provide you with easy access to qualified, professional bookkeepers and accounting professionals without you ever having to hire them. Usually we have seen that small businesses assign bookkeeping task to their office assistants or key puncher, resulting messing up of books of accounts which outcome is they contact us and pay fee for correction of even setting up of books from start. 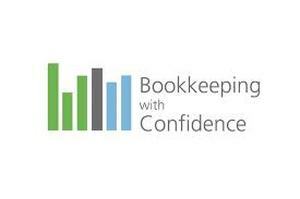 We can provide the most efficient bookkeeping solutions at cost-effective rates. Our online bookkeeping services will help you to reduce costs and manage your books efficiently & timely. We work with well-known software programs like QuickBooks, Peachtree, Sage line 50 & 100, MYOB, SAASU and other popular accounting software available in market. We are handling small & medium business bookkeeping services that facilitate the smooth and successful functioning of your business. A perfect combination of unique processes and cutting edge technology enable us to undertake outsourced bookkeeping activities for Certified Public Accountants and Medium Business Enterprises. We are totally committed to a personalized approach in assisting to our clientele. We operate your back office for your small & medium business needs.